author of ten books. Join us for a conversation with the author about his latest book, Bad Advice: Or Why Celebrities, Politicians, and Activists Aren’t Your Best Source of Health Information. 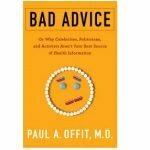 In Bad Advice, Paul A. Offit shares hard-earned wisdom on the dos and don’ts of battling misinformation. For the past twenty years, Offit has been on the front lines in the fight for sound science and public heath. Stepping into the media spotlight as few scientists have done—such as being one of the first to speak out against conspiracy theories linking vaccines to autism—he found himself in the crosshairs of powerful groups intent on promoting pseudoscience. Bad Advice discusses science and its adversaries: not just the manias stoked by slick charlatans and their miracle cures but also corrosive, dangerous ideologies such as Holocaust and climate-change denial. Written with wit and passion, Offit’s often humorous guide to taking on quack experts and self-appointed activists is a must-read for any American disturbed by the uptick in politicized attacks on science. 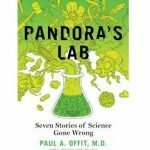 Dr. Offit will also answer questions about his last book, Pandora’s Lab: Seven Stories Of Science Gone Wrong, a book that examines happens when ideas presented as science lead us in the wrong direction. 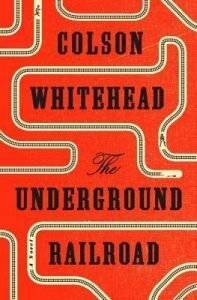 For every “Aha!” moment that should have been an “Oh no,” this book is an engrossing account of how science has been misused disastrously—and how we can learn to use its power for good. 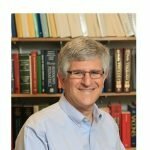 Paul Offit is a pediatrician specializing in infectious diseases and an expert on vaccines, immunology, and virology. He is the co-inventor of a rotavirus vaccine that has been credited with saving hundreds of lives every day. Offit is the Maurice R. Hilleman Professor of Vaccinology, professor of Pediatrics at the Perelman School of Medicine at the University of Pennsylvania and the director of the Vaccine Education Center at The Children’s Hospital of Philadelphia. He has been a member of the Centers for Disease Control and Prevention (CDC) Advisory Committee on Immunization Practices. Offit is a board member of Every Child by Two and a founding board member of the Autism Science Foundation (ASF). Pandora’s Lab is his ninth book.